4 mi. | 1100′ ele gain | 2 hr. One last hike before I go…on vacation, of course. Today was a “hike day” for Hike366 so I had to go hiking. That was not a problem, but I was out of fresh ideas. I chose Mt. 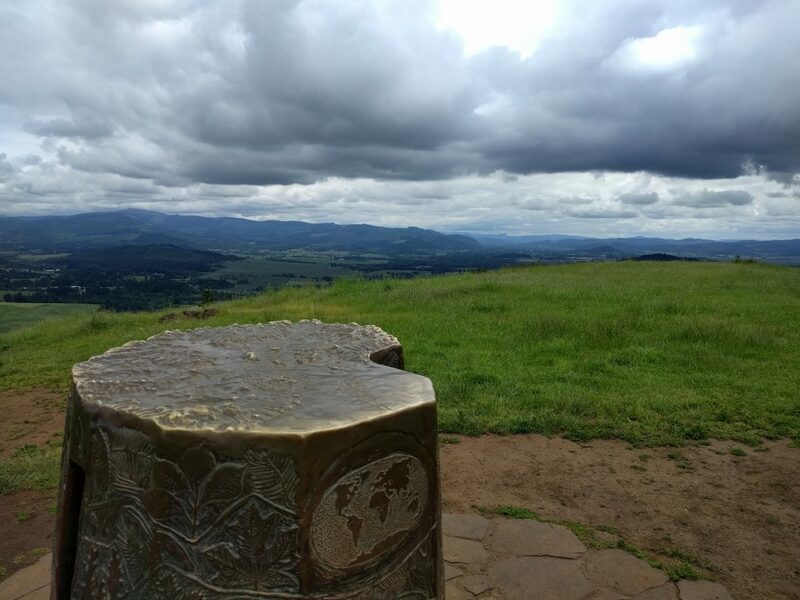 Pisgah for its relative proximity and because I’d wanted to visit it in the spring. I was not disappointed. The landscape exploded with colorful blooms, several of which I could not identify. I can recognize pretty, though, so I kept my phone out and took a bunch of pictures. I hightailed it up to the summit, where the surrounding landscape was overshadowed by billowy, gray-tinted clouds. Beneath the impending gloom, however, the vegetation popped with bright greens, yellows, pinks and purples. The colors were impossibly saturated in the seemingly dull light. Maybe it was just the contrast between the grays and not grays. I looped back down, underneath powerlines and across tall meadows. In one of the meadows I sat on the trail just to be still. Looking across the grassy expanse I noticed the skyline, the bugs, the flowers, the breeze. Walking dulled my senses. But here, as I sat, everything came into focus. Time to move on. I walked through lush rainforest with Jurassic Park-like ferns lining the narrow trail. 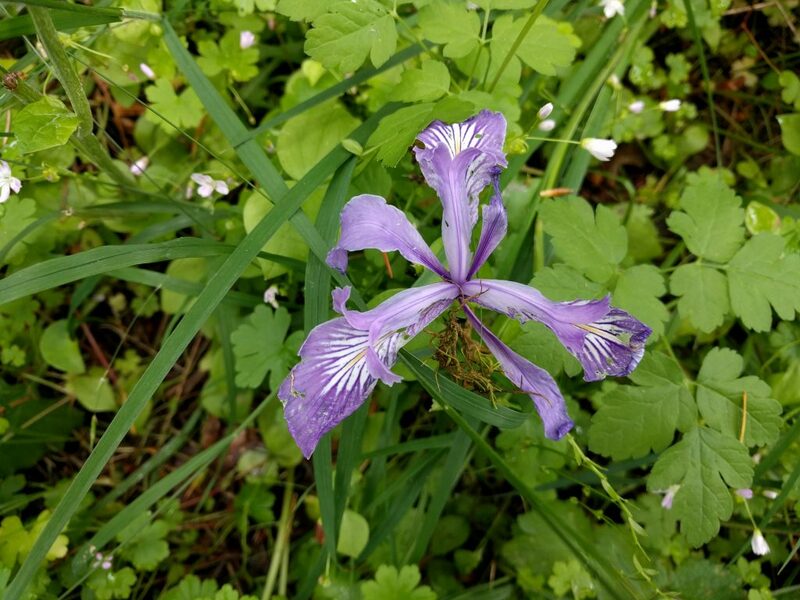 Here, Oregon iris volleyed for my attention, overshadowing the carpet of delicate, white flowers below. Now I was almost back. Another quick hike in the books. And although it was a repeat, the conditions were so different it was as if I’d done another hike altogether. Every hike has at least four unique experiences awaiting if you choose to do it in each of the seasons! 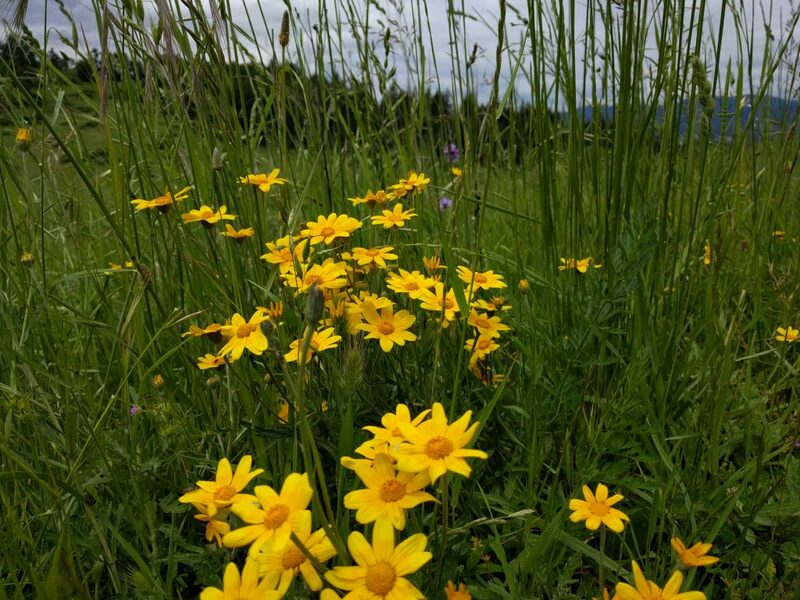 This entry was posted in Hiking, Oregon and tagged hike366 on May 20, 2016 by Jess B.